When we water the seeds of unhappiness, when we are impatient, ungrateful, always looking ahead. In our rush to ” have it now”, we disregard the needs of others, take blessings for granted, and spend way to much time reliving in the past. Most of us have experienced enough unpleasantness in our lives that even when we take the time to wait, to be grateful, our past convinces us that we are not worthy to be blessed right here, right now. But what if we took a moment to slow down, to rest in the blessings and goodness in our lives, refuse to camp out in the neighborhood of the past? Jesus said “I come that you might have life more and better than you can imagine”. Certainly in the life to come but also right here, right now. The new life He came to give has already begun. Don’t miss out on a single minute of it. 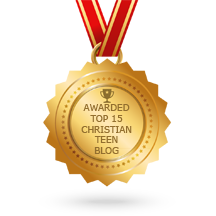 This entry was posted in A CLICK A BLESSING TODAY, Christian Teens Blog JF, CHRISTIAN TEENS BLOGS, Christian Teens Blogs - He is my Peace, Christian Teens Blogs - He is my Peace, Light and Refuge, SHARING STRUGGLES, TAPESTRY TREASURES and tagged Seeds, Unhappiness. Bookmark the permalink.